PT Bank CIMB Niaga Tbk As one of the leading banks in Indonesia, we invite young professionals to drive the wheels with the transformation in PT Bank CIMB Niaga Tbk, by providing opportunities for career development. Gather information and verify the validity of customer data and business visits to the prospective borrower. Responsible for administration of new credit proposal / existing account, Assist in the development of market potential and fostering good relations with customers. Has a sociable personality, open minded and tough / ductile. Marketing products savings or financing to customers and prospects Branch Office. Maintaining the stability of the portfolio and increase the volume growth in the form of demand deposits, savings, deposits, etc. 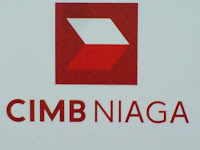 and achieving marketing targets CIMB Niaga Syariah financing products. Follow and understand the development of Islamic products and providing advice, ideas to the development of products to accommodate customer's desires. Build partnerships and to improve knowledge of customers, prospective customers, and the general public about the funding or financing products CIMB Niaga Syariah. Managing documents relating to the collection of deposits and financing application process sesai with applicable sisdur and compiles a monthly report of product marketing for funding or lending advice for Sales Head.